Make the most of this rich and diverse landscape full of fauna and flora. You will be able to learn about our vineyard which has more than 26 different kinds of grape varieties. Open all year round, in winter from 9.00 am to 12.00 am and in summer from 2.00 pm to 7.00 pm from June to September. (Closed at Christmas and bank holidays). Walk round the vineyards on foot, and buggies which are available on request. 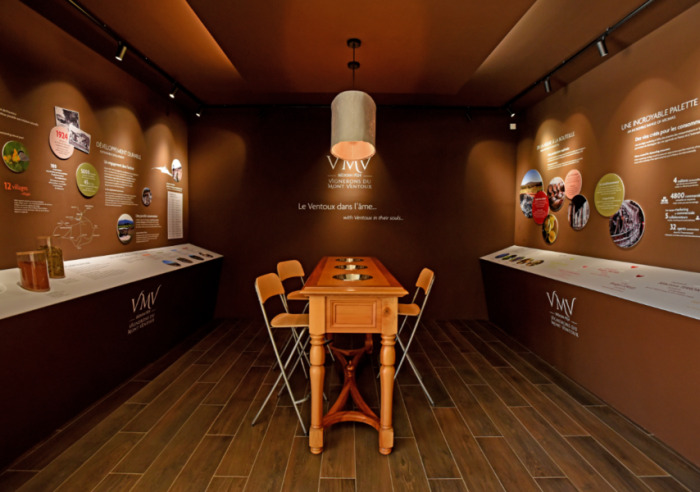 Afterwards, the wine tasting in the cellar is a time to share and discover the "Vignerons du Mont Ventoux" wines. At the foot of Mont Ventoux, our "Giant of Provence", our eyes are drawn towards the outside, with an unshakeable desire to show as many people as possible, our wines with their sunny characters. With our experience and the fact that we are always open, we are in the best position to appreciate your opinions and your tastes. 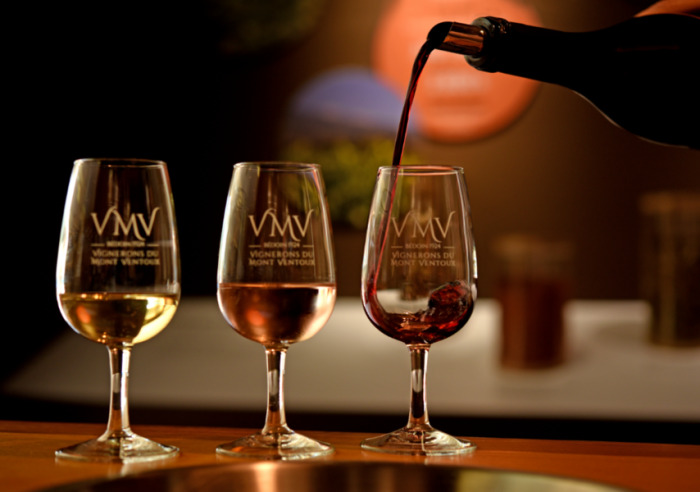 This very experience means that there is a large range of wines for you to taste including our different ranges of AOC Côtes du Ventoux and Vin de Pays wines. From so-called 'entry-level' wines to more complex vintages representative of the local area, up to the most prestigious labels, every day we demonstrate the full potential of our appellation. Wine tasting in the cellar based on themes of your choice (introduction, local area, matching dishes and wines etc.) for groups from 2 persons, by appointment only.The wine cellar is a member of the following groups "Vignerons développement durable" and "Accueil - vélo sur la destination du Mont Ventoux, Comtat Venaissain, Pays de Sault".There are events so please check out our Facebook page for regular updates on different themes. Opening hours daily between 9 AM and 12.30 PM and between 2 PM and 6.30 PM. Closed exceptionally on May 1st, November 1st and December 25th.